If you're concerned, we're concerned. 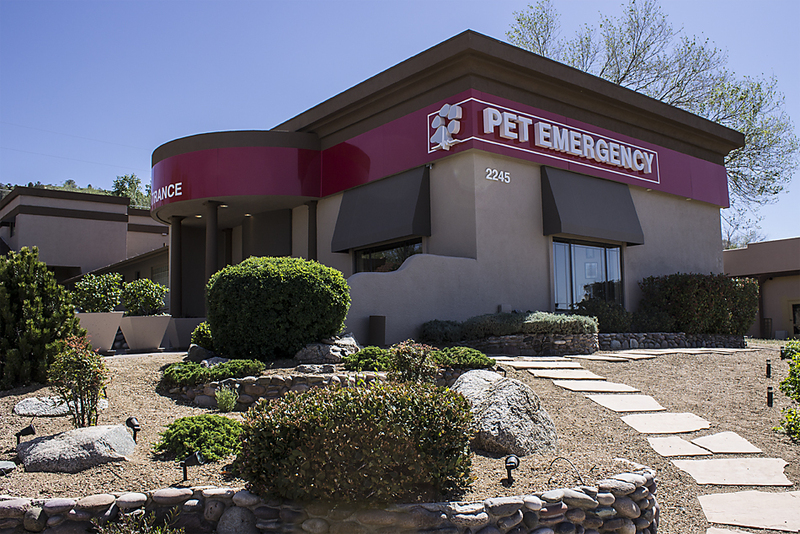 Prescott Area Pet Emergency Hospital (PAPEH) is committed to providing the finest veterinary care for all of our patients. 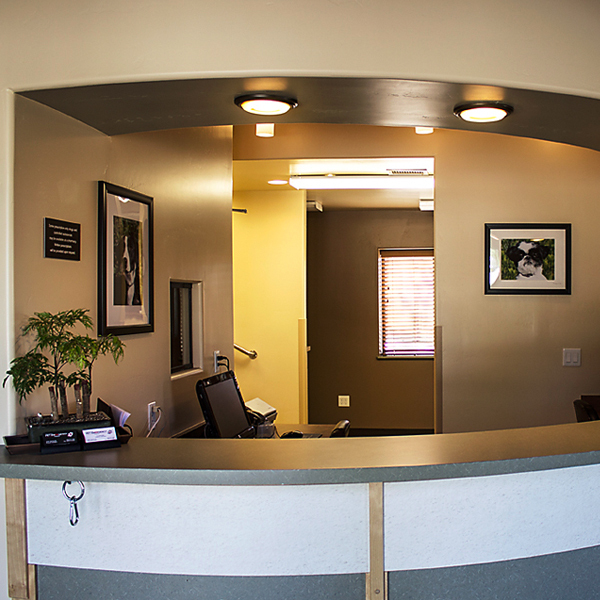 We are dedicated to making your pet’s treatment and overall experience in our hospital a success. 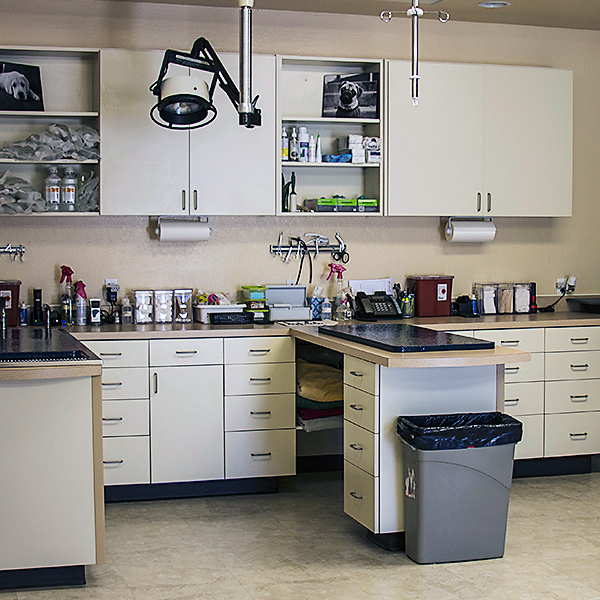 PAPEH is the first dedicated emergency animal hospital for companion animals in Northern Arizona. PAPEH opened in April of 2013, offering emergency and critical care services initially only on the weekends and major holidays. We are now open 24/7, including all holidays. PAPEH is able to manage almost all levels of trauma, emergency medicine, surgery, and critical care using state of the art diagnostic and medical equipment. 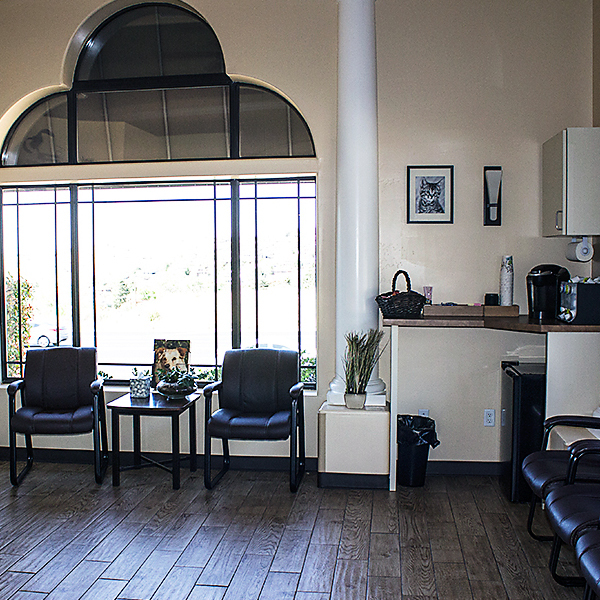 We have radiology, ultrasound, in-house chemistry unit, Complete Blood Profile (CBC) unit, blood gas unit, intravenous fluid pumps, electrocardiogram, Doppler blood pressure, coagulation monitor, and endoscopy. The staff of PAPEH will also work closely with your primary veterinarian. If a pet is transferred to our care from your primary vet, we will speak with your veterinarian to obtain information regarding the treatment that has already been provided and the expectations for the care while in our facility. Your pet will never be left alone while in our care. There is always at least one veterinarian and one veterinary nurse on duty 24/7. Once pets are discharged, we will provide you with written discharge instructions that will summarize the care your pet has received, and outline the continued care your pet may require. We will also send a copy of the discharge instructions and the full medical record to your pet’s primary veterinarian. What type of pets will the hospital see? Dogs, cats, birds, rabbits, reptiles (lizards and snakes) and common pocket pets (gerbils, mice, hamsters, guinea pigs). The emergency staff will be advanced trained to provide emergency and urgent care for avian and exotics. Why do I need to have my pet’s blood work or other laboratory testing done? A complete General Health Profile includes a Complete Blood Count (CBC), 12 blood chemistries, electrolytes, manual blood cell differential and platelet count, manual packed cell volume and total protein, and complete urinalysis. We often recommend the general health profile, to give us the maximum number of pieces of evidence to assist in a diagnosis. All of these together can measure how the vital organs are functioning; indicate hydration status, electrolyte balance, and blood cell abnormalities. The complete blood count can tell us the number of red blood cells, white blood cells, and platelets. Abnormalities can help us determine if there is dehydration, infection, or clotting problems. Additionally, looking at a manual blood smear under the microscope lets us see any abnormal sizes, shapes, and/or number of cells. A look into the blood chemistries tells us how your pet’s organs are functioning. We look at 12 different chemistries in a general profile that covers kidney, liver, and pancreas function. The electrolytes primarily provide us with sodium, potassium and chloride levels. These elements are vital to body function and help us make urgent decisions in treatment of sick pets. Urinalysis consists of chemical and microscopic evaluation. It helps provide information on hydration, kidney function, urinary tract infections or inflammation. All of these together are important to the diagnosis and treatment of your pet. Do you do vaccinations or other routine/preventative health care services? NO. The hospital is designed to deliver emergency medicine and critical care services. 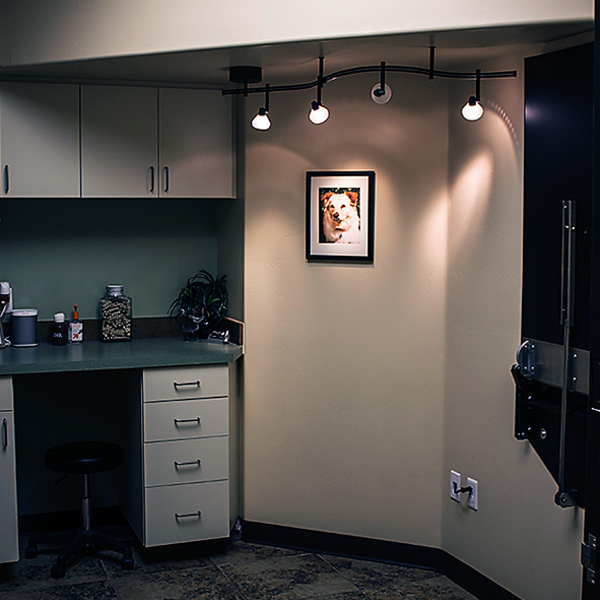 The Tri-City and Verde Valley areas have many quality preventative health veterinary practices to choose from and the emergency staff would be happy to recommend several in your area. Will pets be left alone at any time during their stay? NO. The hospital is staffed with a minimum of one veterinary nurse and emergency veterinarian during ALL hours of operation. Staffing levels are increased as caseload dictates. What are the costs for emergency services? Emergency medicine and critical care requires advanced diagnostic and treatment equipment and highly trained staff. Both equipment and staff must be available at all times to meet the needs of sick and injured pets. Because of this, the fees for emergency service may be higher than those charged by daytime veterinary practices. We are confident that our pricing is competitive with other emergency and critical care facilities. We will provide a good-faith treatment plan with the cost of our services before treating your pet. An initial payment toward the treatment plan is required if your pet is being hospitalized. Payment in full is expected upon discharge of your pet. We accept cash, check, Visa, Mastercard, Discover, American Express, and CareCredit. CareCredit is a flexible payment program, specifically designed for healthcare expenses so you can get the treatment and procedures your pet needs. If you plan to use CareCredit to finance your bill, you may apply online at http://www.carecredit.com/apply or by telephone 800-677-0718. You can also apply at our office at the time of service. If approved, CareCredit allows you to make monthly payments. We brought our Boxer, Maggie, in due to bleeding from the gums. Although, at first everyone thought is was from getting cut by “something”, where it could be stitched and bleeding stopped. The staff and the doctors were willing to think outside the box to find the reason and found a way to stop the bleeding, they were professional, and very knowledgeable. What they discovered was she had 0000 platelets and she was bleeding spontaneously. They took their time, they didn’t rush her visit, the staff explained each step and procedure. The staff loved her as if she was one of their own. As the owner, momma and daddy of Maggie, we were also respected, not pushed or rushed into any decisions, and made sure our needs were also met. We did not feel we were charged excessively, but reasonably for the job they did. If needed, I would return to the Prescott PetER with any other animal. Kathy S.